An charming live audio and video experience from this ethereal Icelandic band with their mix of rock and classical sensibilities. Jónsi & Co. haven’t released a new album since 2008 and release a Greatest Hits album doesn’t seem very Sigur Rós , but this live album capture the beautiful performances , touching on all five studio albums, that show us that they are an extraordinary live band. ‘inni’ is either the first-ever sigur rós live album, or second live film (and follow up to 2007’s acclaimed iceland tour film heima). in fact, it is both: a 75-minute film and 105-minute double live album of the band captured in full flow at the close of their last tour in november 2008, here housed within one single fat package. 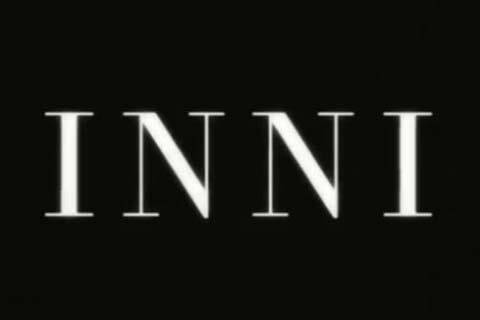 filmed at alexandra palace over two nights by director vincent morisset (arcade fire’s ‘miroir noir’), the movie ‘inni’ could best be described as the anti-‘heima’. whereas that film took a band about whom the world knew little, and placed them in the cultural, social and geographical context of their homeland, (with winning and humanising results); the new film strips away everything save the raw performance of the four musicians themselves. where ‘heima’ was widescreen and open, ‘inni’ is close and single focussed. this is intentional. for while ‘heima’ was successful at “explaining” sigur rós, it was less so at conveying what it feels like to actually watch sigur rós play. that is the job of ‘inni’. in order to accomplish this goal, morisset has taken his time and employed a number of different analogue post-production techniques to create an emotional understanding of being in the room with the band and going ‘inside’ the music. (“inni” literally means “inside”). originally filmed on hd digital, ‘inni’ was first transferred to 16mm film and then projected and re-filmed once, sometimes through glass and other objects to give a strong impressionistic look, a feat accomplished with the help of godspeed you! black emperor visual collaborator karl lemieux. 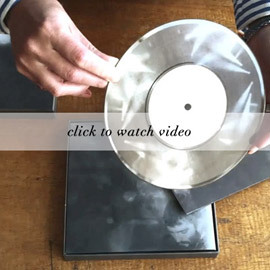 the film was then meticulously pieced together by ‘heima’ editor nick fenton, who chose to break up the flow with unexplained archive footage, including interview and concert material from before the band’s exposure to the wider world at the tail end of the last century. it’s worth mentioning also that the film has only one song in common with ‘heima’ (the closing ‘popplagið’) and that it draws for the most part on the darker end of the band’s material. 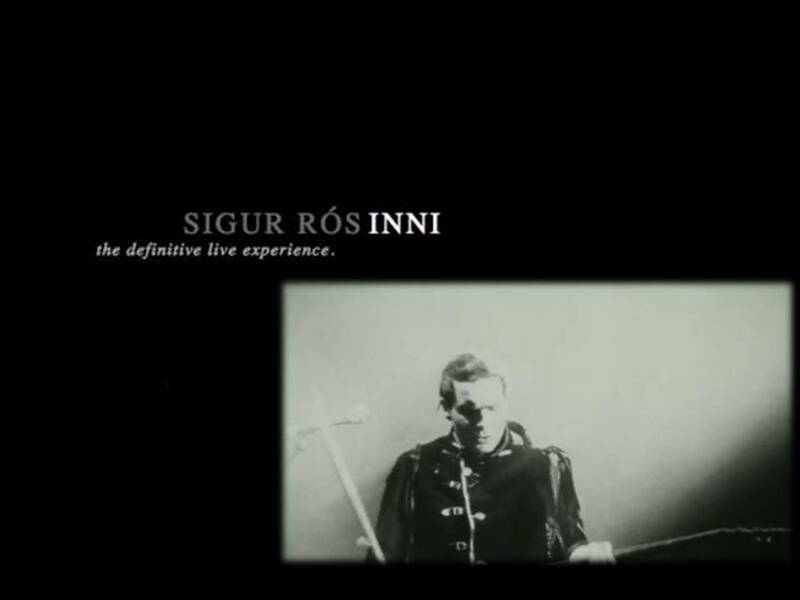 the double live album by contrast, covers the entire sigur rós spectrum over its hour-and-three-quarters, the songs played in the same order as on the night. 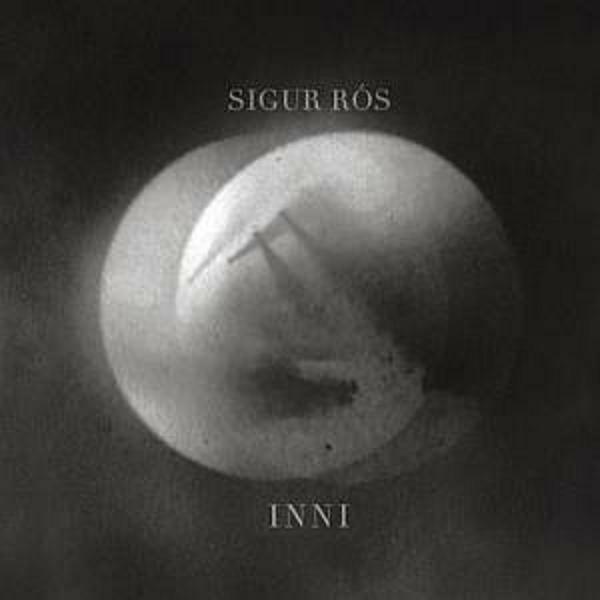 mixed by sigur rós house engineer birgir jon birgisson, ‘inni’, the live album, stands as the definitive sigur rós live recording. the live album inni – a first for the band – is comprised of the full set from alexandra palace, played in order with just one omission, and clocks in at one-and-three-quarter hours. recorded by sigur rós’ in-house studio engineer birgir jón birgisson, inni’s live audio recording is far and away the best way of replicating the full-force effect of standing in front of sigur rós for an evening. 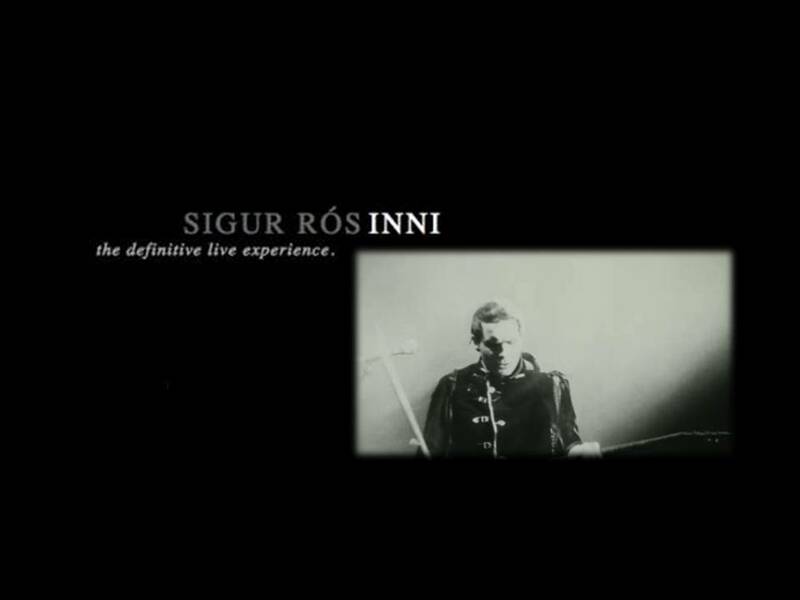 inni is sigur rós’ second live film following 2007’s tour documentary heima. whereas that film positioned the group in the context of their icelandic homeland, providing geographical, social and historical perspectives on their music, inni focuses purely on the band’s performance, and stands as a stark counterpoint to heima’s kaleidoscopic richness. where heima was lush and colorfully expansive, inni is spare and near-monochromatic in its tunnel vision. filmed in a manner that invites both intimacy and claustrophobia, inni cocoons the viewer in a one-on-one relationship with the band, eschewing the audience for closeness, depicting how it feels for both band and fan to experience sigur rós live. the film’s atmosphere is enhanced by morisset’s re-filming of the original digital footage on 16mm, which was then re-filmed again, sometimes through prisms and other found objects, allowing inni to look and feel like something recovered from the past. interspersed with this is archival footage drawn from the band’s previous decade, dating back as far as 1998. this juxtaposition gives viewers the full scope of sigur rós’ origins, evolution, originality and influence.